You guys! I know I just posted this morning, but I came across an article I HAD to share! If you’re a new reader, you may not know about my excessive amount of student loan debt. I graduated with a Bachelor’s debt-free, but after 6 years of graduate education (2 for my MA, and 4 for my PhD), I ended up graduating with just shy of $100,000 of student loan debt. I’ve been working hard to tackle this debt (along with my other personal debts), but even so – I still have over $60,000 to go! The report finds that canceling all student debt would likely lead to an increase in U.S. GDP between $861 billion and $1,083 billion over the course of 10 years. It would also lead to an increase of 1.18 to 1.55 million additional new jobs over the same period — that’s about 50% to 70% more jobs per year compared to an average of recent years. The report also finds that total loan forgiveness would cost the U.S. government approximately $1.4 trillion over the course of 10 years — a number that is almost exactly the same as what the CBO recently projected the Republican’s new tax bill would cost. But researchers said that the positive impacts of canceling student debt would likely be more broadly felt than those of the tax bill.“What our report shows is that you get a greater macro economics impact, bigger bang for the buck, and that student debt cancellation has about half the budgetary effect of the Trump tax cuts,” Kelton said. The authors find that cancellation would have a meaningful stimulus effect, characterized by greater economic activity as measured by GDP and employment, with only moderate effects on the federal budget deficit, interest rates, and inflation (while state budgets improve). These results suggest that policies like student debt cancellation can be a viable part of a needed reorientation of US higher education policy. It’s a radical idea, no doubt. Obviously I’m drawn to it (in no small part due to my own excessive student loan debt). I’ve always been proud to work on repaying my loans, rather than relying on one of the existing loan-forgiveness programs. BUT – some of this research is pretty compelling regarding the possible economic benefits of such a cancellation. Total no brainier. Why let the rich have all the benefits of the good economy? Sure, it would be great to cancel student debt. I’d love to have an extra $750 a month to play with. But canceling debt would do nothing to address the fact that people need to go into debt to get an education. We’d be back in the same spot 10-20 years down the line. I’d rather use that $1.4 trillion to improve the system so that my kids don’t need to take out tens of thousands in loans to go to school in the first place. Fiscal conservative, social liberal here. And we don’t have the money for this. Or the tax cut that was passed, or decades of war, or universal health care, or huge military, or free college, and so on, and so on. As a nation, we continue to massively spend beyond our means and when the interest payments alone cannot be managed, it’s going to get crazy. Waking up thousands of dollars better off than you were the day before is a seductive thought to everyone, but we can’t afford it. “The idea of canceling student debt is not just some crazy idea out of left field, but is actually something that could be done, and done in a way that has a moderately positive economic impact,” Marshall Steinbaum, a fellow and research director at the Roosevelt Institute and a coauthor of the report said in an interview. “The way this and similar polices are often discussed is in a mode of ‘well can we really afford this?’ and the answer is definitely yes,” he added. Yeah, sorry, no. Just cause someone makes that quote doesn’t mean it’s true. Yes, the cost of college education has risen at ridiculous rates, often just to support bloated administrations. That is a travesty. And the interest rates on loans should be lowered, significantly, IMO. As others have mentioned in other comments, there are many flaws with this idea – how would it be accomplished, who pays, who gets forgiving, what of those who DID pay, or how about those, like me, who paid for their advanced degree through military service rather than take on $250K in debt?. We do not have 1.4 trillion sitting somewhere to spend on this. It just doesn’t exist. Negating the cost of this against theoretical future gains seems like slick accounting to me. We, as a country, continue to borrow on our credit card held by China and elsewhere to finance things we simply do not have the money for. It is irresponsible and we put weaken future generations by doing it. as someone “old school” (and old ,LOL) who didn’t/wouldn’t go into debt that much to get a degree – I’m curious for those like you, who did, what was the actual thought process of how you could ever repay that much off without seriously having to use a huge portion of your income, for many years, to get it paid off? I agree, something needs to be done more about the high cost of degrees. People shouldn’t have to go into debt hundreds of thousands of dollars. I could see it if a future career was going to pay hundreds of thousands per year. My son’s ex-GF went $50k+ into debt for a degree, in history. Now she’s working in a totally different field (no degree would have been required for it) and trying to pay off the student loans on a $30k/yr salary. I just don’t get it. I agree with you. In many cases student loan debt is unavoidable but I’ve also seen people borrow far more then they need and use the remainder as spending money. Or go to expensive private schools for degrees that won’t result in high paying jobs. Why should they get a break when someone else went to a moderately priced state school, only borrowed what they needed and graduated with a reasonable amount of debt. Something does need to be done about the rising cost of education, however, and students need to be better informed when they borrow. Yes, this. I’ve watched friends college age children take on massive loan debt, only to major in Philosophy or English and have a challenging time finding meaningful work that is well paid. I think we need to do a better job in this country of funneling young adults into alternatives to college such as vocational schools or letting seniors have a gap year to decide what they want to study. I can’t agree with the two previous comments enough. It’s common sense…but it’s lost on so many people. I graduated with about 18k in school loans. I got into a career field that I didn’t even need a college degree, but I wouldn’t trade the experiences I had for anything. (Plus, I do get incentive pay for having one). A coworker, who was doing the same job as I was (before I promoted) graduated with over 70k. It makes me grimace just typing that out. •	Tuition = approximately $1,000 per credit unit x 12 units per semester (24 per academic year) x 2 years = $48,000 just for tuition. •	Living expenses = about another $10,000 for the two years. •	Credit debt = about another $15,000 for the two years. Clearly, this is where things really fell apart. I went from ZERO debt, to having my credit cards completely maxed out. In addition to my new debt, I had also drained my savings and depleted most of my money market account (I had about $2,000 remaining). •	At one point Chris was in an accident and his car was totaled. I bought a used car….on a credit card. Yes. I paid $4,000 for a used Cadillac that lasted approximately 28 days until it died. Thankfully, there is a 30 day lemon law, so the dealership was legally obligated to fix it, but it was a lemon of a car. The problems continued and we only had the car for probably 5 months total before it was donezo.That $4,000 balance, however…..still on my credit card even now (6 years later). •	But that’s not the only ridiculous thing we’ve paid for on credit.One January we didn’t have money for rent (because Christmas spending had been out of control), so we put our rent – $1200 – on a credit card. •	To finance these disasters, I would play the balance transfer game. I’d get a new card with a fancy 0% introductory APR and transfer balances from other cards. Only….I was unable to pay off the new card, so when the introductory APR expired, I was now slammed with a 17.9% APR! Yikes! One glaring thing the article you cite does not touch on is what will happen to the debt that you, and others, owe? Who will pay for that? What are the implications for the lenders whom you borrowed money from and will have to write down this debt if this fantasy were to come to fruition? Will the American taxpayer be on the hook for propping up the lenders because your debt, part of which was spent on trips to Orlando etc., is forgiven? The article is unclear whether the US government would “pay back” the lenders. Bottom line, no one forced you to get a masters or a PHD. You, and others like you who borrow large sums, need to live with the consequences of your actions. Boy do I agree. Does anyone think how much they will need to spend on the chosen degree, will they get a job in that field, and why us the taxpayer pay off some else’s debt. I am helping pay for my children’s education. I certainly hope this doesn’t pass. I worked hard to pay off my student loans but I would like to take my family to Orlando. Can the government pay for it? I’m sure it will stimulate the economy if all my friends, family and I took trips to Orlando. Plus we are good people. We deserve a free trip. What would all the people say who faithfully (and painfully) paid off their student debt? Would they be reimbursed? As much as I would’ve loved to pursue a master’s degree or had studied abroad or even gone to a private school during undergrad, I chose not to pursue any of these options for financial reasons. For that reason, I only had $20,000 to pay back after graduation. I just don’t think it would be fair to forgive the current student loan balance without having to repay those who’ve paid their balances off. This does nothing to solve the real issue of increasing college expenses or the ease of getting student loans. Instead it sends the message of government bailout, which we all know is no deterrent in ensuring future financial mistakes aren’t made. So we free up 1.4 billion dollars that can then be put to another area of overspending to create yer another bubble destined to burst when people again realize they can’t afford the things they want. I’m 40k in student loan debt because I wanted a degree I couldn’t afford. I’m using this degree and it did lead to a better paying job, which is the ideal scenario when one gets student loans. But no matter how much my earning potential improved, it doesn’t change that I COULDNT AFFORD IT. I think America needs this lesson hammered in over and over and over. It should be harder to qualify for these loans. It should be less expensive to go to college. But bottom line, it’s time for people to understand that if you can’t afford something, you don’t get it. Period. Yes to all of this! College is heading into the territory of being someone only the wealthy will be able to afford, with will only worsen income disparity and upward mobility. It is SO WRONG that private lenders can loan 18 year olds enormous sums of money without ever ensuring they have will have the ability to pay it back. You’d never be able to get a car or a mortgage like that. Private loans, IMO, are nothing more than signature loans. Make the loans bankruptable again so that they have some risk in making the loans. Or limit the amount the can be borrowed. Way too much easy money. I am not sure if it is everywhere but my kids would need us to co-sign any loan they get so if the student doesn’t pay the parents are on the hook. Just because you can borrow the money doesn’t mean you need to borrow more then you need. I used student loans to renovate my kitchen during grad school because it was a cheap interest rate. I’m sure I’m not the only person who used this source of easy financing for things other than school. I would be vehemently opposed to mass forgiving of student loans. This is a bad idea for about 1,000 reasons. Not to mention the fact that all future borrowers would go crazy and assume that ultimately their debts would go away too! I recently read an article about for-profit law schools, which admit mostly students who will never be able to pass the bar and borrow about $270k! You could make this silly economic benefit arguement about almost any debt. 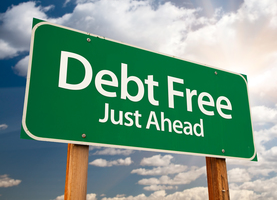 What if we forgave all mortgage debt? Or credit card debt? What we need is to limit borrowing and prevent young people from screwing up their lives. There are plenty of payback options now too. Uh, nope. We need to focus on investing in the front-end to make college affordable. More public investment, higher Pell Grants, more financial aid that is grant-based, not loan-based. You know who really benefits from this proposal? The private lenders. They are guaranteed payment, at the expense of the taxpayers. Sorry, it’s not my responsibility to cover your student loans, which apparently can be used for vacations and kitchen renos. However, I will be happy to see my tax dollars go to supporting higher ed, so that it’s available and affordable. You realize nobody needs to pay for the loans? All of the loans could simply be cancelled. Not paid, cancelled, like they had never happened. That doesn’t cost a thing. Revenue made from repayment of government loans is used to issue new loans to upcoming students, and I’m sure for a bunch of other stuff I’m not aware of. If we are talking about canceling student loans made from private lenders, they will want to be repaid from somewhere. Either way, someone is paying one way or another. Rosalind!!!! It’s been like 4 years! How we have missed you. Are you still at Wal-Mart? Do you still like your boss? How’s your wealthy grandmother? I miss your snarky posts. Haha!! The cost occurred the day the government issued the funds. If the loan is subsequently ‘cancelled’, the outflow from the coffers still occurred. Budget projections depend on the return of those moneys to said coffer. If those loans are not paid, it is the taxpayers who have to pony up to plug the holes that were depending on those loan payments. Hence the concern for the consequences of massive default on the quantity of outstanding student loan debt. No. Way. I paid off all my loans, my husband paid off his, it was painful but we did it. This benefits some people but not everyone or even a majority of people. I really don’t want to end up paying off everybody else’s student loans too. I agree with the previous commenter I called and asked if we could use the student loans to purchase a vehicle while we were in college. Part of ours was actually a car loan. Do you all want to really pay for people’s vehicles and kitchen remodels? I agree with the majority of the posts. Why should people who took out loans to finance degrees or pay for renovating a kitchen, etc. be let ‘off the hook’ for those loans when there are other people who bit the bullet and paid off their loans? It shouldn’t surprise me you would be a fan of this scheme. You have high student loan debt, which was not all spent on education. Meanwhile you receive a big salary from academia (hopefully you do realize that part of the reason college costs are so high is because of salaries like yours). Not only is this scheme completely unfair to those of us who lived within our means and didn’t gather debt, or worked hard to pay off the debt that they did have, it is completely unfeasible to implement given the current state of our national debt. It seems everyone wants a free ride these days… to take the easy way out… I’m saddened to see you are one of those people. Seems like the reason this would be stimulative is that (broadly speaking), people with large student loan balances have a proven inability to delay gratification. Therefore if you took away a large monthly student loan payment, they’re more likely to spend it all elsewhere. Contrast that with someone who already has a higher savings rate who gets a tax cut. This person is unlikely to spend any more money just because their tax bill went down. Since the largest tax cuts are going to top earners, it doesn’t have the same impact on the economy.